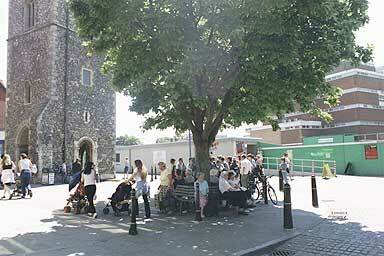 We emerge from Canterbury Lane onto Canterbury's main street, here called St. George's Street. There's a little open area here, and a clocktower which is all that remains from St. George's Church. Ahead is Whitefriars, and this is a new junction in the city.